In 2016 and 2017, the Chicago Cubs’ draft strategy was to go after pitchers in large quantities. As a result, the hitters were basically ignored or an afterthought, in two straight draft classes. In 2018, the Cubs’ draft strategy attacked hitters more evenly with three of their first four picks being position players. That strategy continued the second day of the draft with the selection of Luke Reynolds in the tenth round. Reynolds plays first base and third base as well as DH. 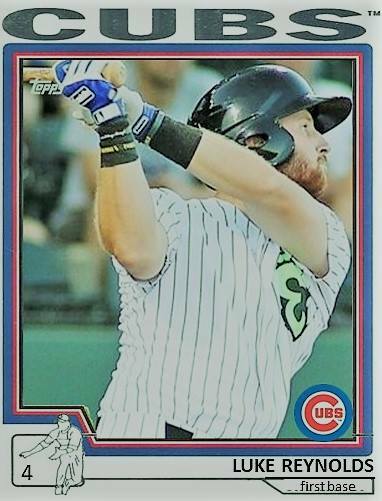 At 6‘1“ and 215 pounds, the left-handed hitter comes to the Cubs after a strange college career. He began at Hinds Community College in Raymond, Mississippi where hit .376 with a .475 OBP and 5 HRs in 59 games. Reynolds then transferred to Mississippi State after the 2014 season. It didn’t go as planned there. As a result, Reynolds again transferred to Southern Mississippi. But due to a technicality, he had to sit out for two baseball seasons. He kept playing baseball in summer leagues in New England, the Perfect Game League, and the Great Lakes. When Reynolds finally began to play for Southern Miss this spring, the then 22-year-old put up one of the best seasons in recent NCAA memory. He earned third team All-America honors in 2018 along with All-Conference USA and Conference USA Newcomer of the Year awards. In 62 games, he hit .389 with a .551 OBP. He slammed 15 home runs in 62 games. And with stats like those, you have to wonder why he was not a day one pick. In March of 2018, about a month after the NCAA season began, Reynolds turned 23 years old. Some teams may not have wanted that old of a player taken that high. As a result, everyone’s loss is the Cubs’ gain. 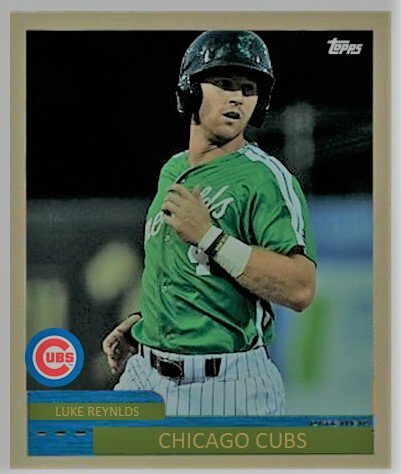 After signing, Reynolds went through his orientation and began his pro career playing in the Arizona Rookie League for the Cubs. He was only there for 12 games, and it took him a few games to adjust after two months off. He’s now been in Eugene for almost 2 weeks and I am looking forward to watching more of him now that the Northwest League All-Star break is over. In just nine games at Eugene, Reynolds has flashed some of those abilities that he displayed at Southern Miss. He shown the ability to drive the ball to all fields. He has a short timing mechanism and then his hands can explode quickly through the zone (see video below). In fact, Reynolds goes the opposite way (39.1%) more than he pulls the ball (32.6%). I really like that in a player, especially one who hits a lot of doubles as Reynolds does. He has only hit one home run and driven in nine so far, but he is displaying some great bat control. His walk rate is at 13.2% heading into tonight. One aspect of Reynolds’ approach that I really like is that he is hitting .400 when he gets ahead in the count. That’s a pretty substantial advantage in a profession where a 10-15% difference is a significant advantage over the competition. He does have some issues. He has struggled against left-handed pitching hitting only .200 and striking out at a 40% rate, but that’s a very, very small sample size (10 at-bats). However, in the one game I saw him against a lefty, he struck out three out of four times. He also has trouble with the high fastball which explains his K rate of almost 25%. And right now, his batting average of balls in play (BABIP) is over .400. That’s not going to last. All of those things can be worked on and smoothed out. None of them are long term concerns. It’ll be interesting to see how he is handled over the next year. There are just a little over three weeks left in this season. Luke should be staying at Eugene the whole time. Then again, a lot of where he ends up this year depends on who is the playoff hunt the last 10 days of the season. Eugene is currently two games back of a spot and South Bend is five back. However, when next year comes, going to South Bend is not a given. Ideally, the Cubs would want him to start in South Bend, but when the season starts he’ll be 24 years old. That’s about a year to year to a year and half older than the average age of most players in low class A. If he does go to South Bend, I don’t expect him to be there long. With his bat to ball skills, quick hands, powerful stroke, and the ability to take a walk, Reynolds could skip South Bend if he is proficient in fall instructs and spring training where he can work on his lowering his K rate by laying off the high fastball. I would be pleased to see him begin 2019 as a Pelican where he will, more than likely, be just fine. ‹ PreviousAre There Any Cub Prospects Breaking Out in the Second Half?